I ran across Sharif's music several years ago. My first exposure was his album "Kisses and Lies", which is a walk through great songwriting during difficult times. "Dark Side of the Dawn" is my favorite off that effort by Sharif. 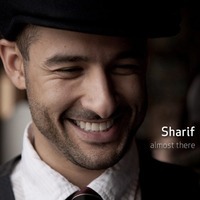 Lyrics from the soul, and music from the heart go into everything Sharif does, and I'm looking forward to adding "Almost There" to the collection. Here's the music video to his first single release from "Almost There"... enjoy, and leave your comments/review below. Pick up a copy of "Almost There" and "Kisses and Lies" from his website! Official music video for "I Don't Miss You" by Sharif. First single from the EP "Almost There."